Cowboy were an American country-rock band. Cowboy were formed in Jacksonville, Florida 1969 by guitarists Tommy Talton and Scott Boyer, both of whom had just left bands of their own - Talton had been with We The People, and Boyer with The 31st Of February. Boyer's group had had the good fortune of befriending the brothers Duane and Gregg Allman, and had actually recorded an album with them in 1968 (it didn't see release until 1972). Butch Trucks had been the drummer for The 31st Of February, and he went on to become a founding member of The Allman Brothers Band, who were signed to Capricorn Records in 1969. When Boyer and Talton put together their new group, Duane Allman reccomended them to Capricorn's Phil Walden, who promptly signed them as well. 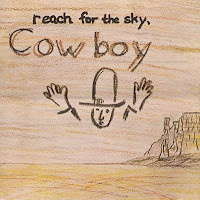 Their debut album, Reach For The Sky, was released in 1970. Stylistically it was rootsy country-rock, laid-back and mostly acoustic, with nice vocal harmonies. The songs were all originals, with both Talton and Boyer proving to be good singers and songwriters. Other members of the band were bassist George Clark, drummer Tom Wynn (who had been in We The People with Talton), and keyboard player Bill Pilmore. 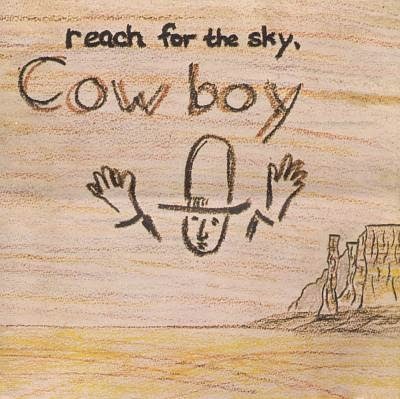 all the cowboy albums are really good. they don't get the credit they deserve. An under appreciated band. Thanks for the post. Gracias por toda la musica que nos ofreces.